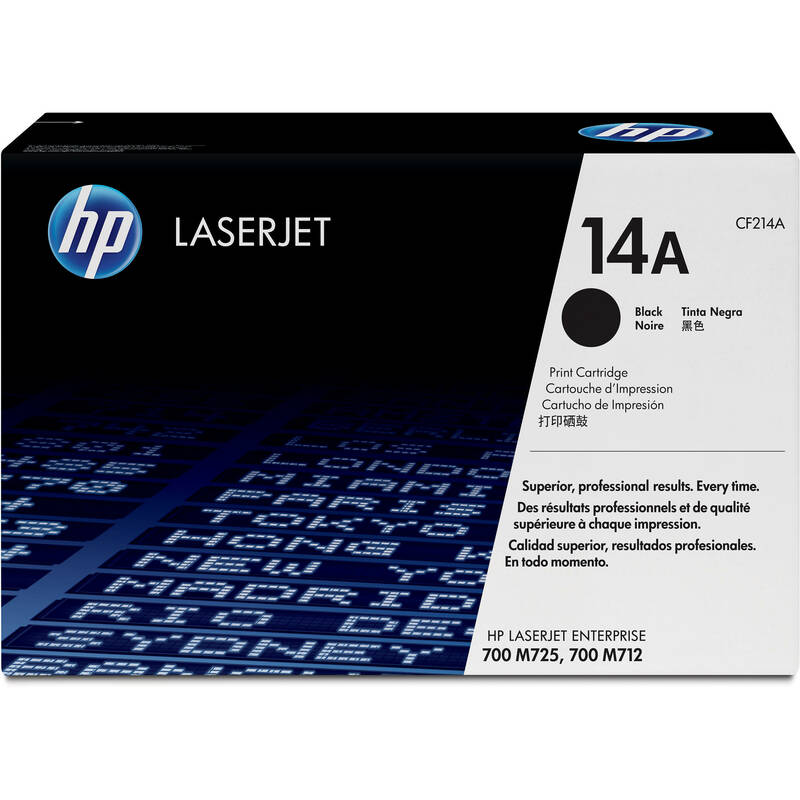 Box Dimensions (LxWxH) 19.5 x 14.2 x 7.4"
14A LaserJet Black Toner Cartridge is rated 5.0 out of 5 by 1. Rated 5 out of 5 by Robert from Always OEM cartridges. We have tried the refurbished toner cartridges and have had near disastrous results. The quality of the printer output is poor and the toner itself was doing damage to the printer. This product is the only way to go.